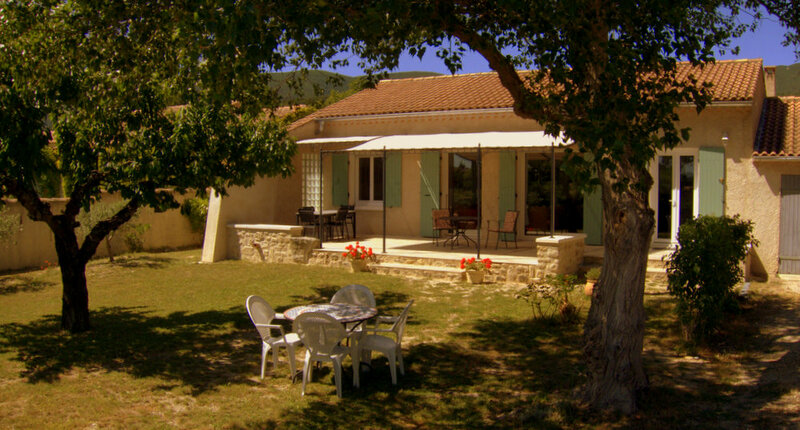 Provence holidays: Holiday home in the Luberon, only 30 minutes from Aix-en-Provence. The house dates from the 1970's and was completely renovated in 2010. It is situated on a quiet road only 300 meters from the center of the village. Everything is on one level and the house faces south with large window panes. The house is extended southwards with a new large terrace (40 sq.m.) mostly covered by a canvas in summer. The house consists of an open plan living room and kitchen, three bedrooms (one furnished as an office with a large sofa bed), bathroom, toilet and garage. The house is well insulated and has central heating (for winter). Mobile telephone reception is good throughout the house, as well as the internal Wi-Fi network for fast wireless internet access (Orange box). The living room has a Radio/CD-player and a TV. One of the bedrooms has direct access to the garden at the back. The kitchen is large and well equipped with an induction top, electric oven, fridge/freezer, microwave oven, dishwasher, electric kettle and coffee machine. The washing machine is located in a separate room at the back of the garage. The bathroom is also large and has a sink, tub, shower and walk-in closet at the back. The house has one baby chair at your disposal (for eating at table), as well as a baby cot (60 x 120 cm.). The garden is 800 sq.m. and there are some large trees providing good shade in addition to the covered terrace. There is a large cherry tree, apricot and plum trees, 6 olive trees and 2 large pine trees. 3 tables and 12 chairs are permanently placed outside on the terrace or in the garden. Around the corner from the terrace, there is a permanent large barbecue to be fired by wood. In the garage you will also find an electric grill (Plancha). In the drive way, there is private parking for 2-3 cars and the bikes left ouside is there for you to use at your own risk. We live in the house 6 months of the year, but the house is available for weekly rental (Saturday to Saturday) in July and August. For information regarding rental click "Villa Galon" in the main menue. 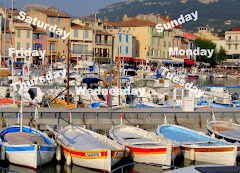 Welcome to charming Cucuron in the middle of Provence. 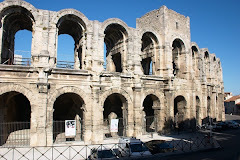 Only 30 minutes drive north of Aix-en-Provence. 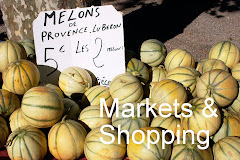 This web site will give you the information you need to decide why Cucuron and Villa Galon could be your ideal base for a summer holiday in Provence. 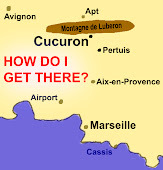 Why not start by watching this fantastic video presentation of Cucuron made by Gilbert Blanc. Swimming, hiking, walks, cycling, canoeing, golf or mountaineering? 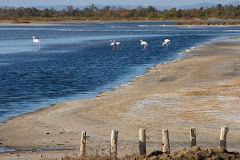 Etang de la Bonde, 4,5 km from Villa Galon.